Being cut from the K1 roster would be a difficult thing for anyone to accept, but a fighter’s job is all about challenges. John Wayne Parr is committed; consistently rising to them is what fans know and love him ‘J Dubya’ for. In the last 12 busy months he has only suffered two losses, one to rising star Yodsanklai Fairtex in the final of The Contender Asia reality series. Fellow K1 Max star who recently found himself without a job in Japan, ‘Iron’ Mike Zambidis, was Parr’s most recent opponent on May 8. Many felt that Zambidis would repeat the outcome of their previous contest in the final of the K1 Max Oceania in 2002. That night Parr had been great with kicks and in close, tried to beat Zambo to the punch with his knees. It was a high-octane affair with both fighters scrambling to the finish and Zambidis just got over the line. This time, Parr gave a critic-silencing display of what he’s all about. He won both of the first two rounds, cutting Zambo above the eye with a knee in the second. Zambo powered back in the third, catching Parr with a solid hook, but Par wore it and used the following two rounds to slowly but surely pull away on the scorecards. This fight showed that in the six years between meetings, Parr developed the parts of his game which had previously made the difference and is now the more complete fighter. This was reflected in his unanimous points decision win. Buakaw has been in a class of his own in K1 Max; that is, the only Max fighter to ever win the title twice. He has been a dangerous competitor in every outing, suffering narrow finals losses to Andy Souwer in 2005, who narrowly took the belt at the bloody end of their second extension round, and in 2007 as runner up to Masato. He has also beaten Zambidis. All these fights took place under K1 rules, which means 3 rounds of 3 minutes’ duration with one minute in between. They did not include grappling or elbow strikes, both of which make the upcoming WMC-sanctioned competition close to being a different sport. 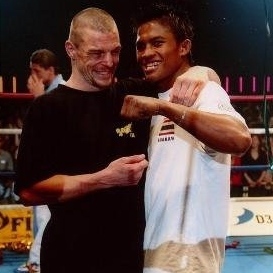 Buakaw and Parr have also met once before, in the first fight of the 2004 K1 Max final. The first round was very Thai. They began by feeling one another out with kicks, almost as a mark of respect for the sport which they are native to, and from which K1 is a derivative. It was a textbook display of Thai kicking with both fighters manipulating one another with kicks, staying at long range as if by mutual consent, and redirecting one another’s legs and countering. Given Parr’s skills as a boxer, it seemed odd he should wait until late in round to use his hands. Buakaw successfully frustrated that attempt with kicks. Parr dumped Buakaw in this round, also. It meant nothing in K1 scoring, but as Thai fighters, it amounted to an assertion of dominance for both of them. Parr showed that while Buakaw had class with kicks and counters, Parr could man-handle him in the grapple. At the end of the fight however, Buakaw was awarded the win. He had shown a greater degree of technical finesse. Parr’s recent win over ‘Iron’ Mike showed him fighting his own fight, rather than somebody else’s. It is likely that under WMC rules, Parr will be even more confident in doing this. Both Parr and Buakaw have held both a WMC and an S1 title during their careers. Parr, given his boxing, is more rounded and if he fights the way that best suits him, he is well-positioned for the win. Buakaw has had over twice the fights (219) for half the losses. But a recent KO loss to Sato in K1, a decision loss to Andy Souwer in The Netherlands and a lacklustre performance against Brazilian Andre Dida show a fighter some distance from the top of his form. Buakaw may be making his way into one of the troughs many career professionals find themselves descending into, and only genuine champions seem able to swim out of. If recent times are anything to go by, Parr may be moving into his strongest era yet. This entry was posted on September 7, 2010 at 2:16 pm and is filed under 'John' Wayne Parr, Journalism, Kickboxing with tags 'John' Wayne Parr, Buakaw, Champion vs Champion II, International Kickboxer Magazine, Iron Mke Zambidis, K1 Max, The Contender Asia, Yodsanklai. You can follow any responses to this entry through the RSS 2.0 feed. You can leave a response, or trackback from your own site.